Jonathan McKearney Professional Corporation is known for taking a long-term approach with our clients. Our services are designed to cover your needs throughout all aspects of your life - individual and business. We provide the highest level of service and customized tax advice targeted towards educating our clients about their most ideal financial solution. As a result, you are able to do effective tax planning. We build a long-term relationship with you, both as our client and our friend. We offer year-round tax services using leading technology for fast service, submission and return for our clients. Our staff participates in annual tax training to deliver the greatest refund for your tax return. Our personalized service doesn’t end once a return has been filed. We also offer a personal tax planning session to help you determine the best strategy going forward. Our clients can call at any time, knowing we will provide them with timely and accurate answers to their queries. The Canada Revenue Agency will perform reviews of returns from time to time, and our clients can be assured that we will work with them and steer them through the process to resolve any review. We will be with you from start to finish. Life is constantly changing and so will your tax and investment strategies. Running a small business requires attention to detail and specialized knowledge in a multitude of areas. As an owner, you need your business to run perfect, but hiring a full-time Accountant may not be in your budget. Jonathan McKearney Professional Corporation has expertise in the whole business enterprise, to be able to offer solutions to meet those daily demands to ensure you succeed with your business. 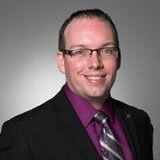 Jonathan McKearney is a chartered professional accountant, serving out of northeast Calgary. Specializing in corporate and personal tax planning, Jonathan has helped hundreds of people and businesses over the course of his career set themselves up for success financially. Jonathan’s expertise in taxes, strategic and estate planning, and accounting ensures that he has a diverse tool belt ready to help you meet your financial goals. With a rich knowledge of the tax system, thanks to in-depth courses from CPA Canada combined with over a decade of experience, Jonathan has a knack for finding benefits and refunds others can miss. Your business and personal taxes deserve someone who is thorough, detail-oriented, and knows the tax system. Jonathan McKearney is that CPA. Call him today at 587-392-4080, send an email or book an appointment for a free, no-obligation consultation. JR's primary focus is on customer satisfaction, performing full cycle bookkeeping and calculating your income tax accurately, to save the most amount of money allowed by law on your returns. 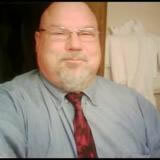 Specializing in small business and self-employed individuals, his primary focus is on the transportation industry. His experience enables him to deal efficiently with the Canada Revenue Agency during audits and Alberta Employment Standards in safety and HR issues. JR is a QuickBooks Desktop, and QuickBooks Online Pro-Advisor. Paramjit is a chartered professional accountant and having more than eight years of experience in the accounting industry with sound knowledge of Canadian Tax. In addition to Bookkeeping, Paramjit also plays an important part in the preparation of individual Income Tax returns as well as Corporate Tax returns and company financials. She has worked with many small to medium businesses from various industries. She enjoys the challenge of researching complex tax matters and ensures that quality service is being provided. Having owned her own bookkeeping company for many years before merging with Jonathan’s company, Heather has always been strongly focused on customer service. She worked in many different fields including financial services, bookkeeping, and personal tax and uses her past business experience to provide efficient, cost-effective bookkeeping that will give you more time with your family.